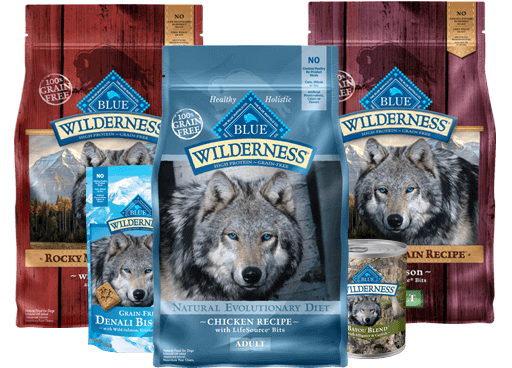 Blue Wilderness Puppy Food – Is This a Good Choice for Your Pet Friend? Natalie Bailey April 27, 2017 Dog Food Comments Off on Blue Wilderness Puppy Food – Is This a Good Choice for Your Pet Friend? Before bringing your new puppy home, you will want to do a lot of research to make sure that you have chosen the best products to give your new four-legged friend the best care possible. One of the most important choices is finding the best puppy food to provide proper nutrition for their growing bodies. Blue Wilderness puppy food is known as one of the leading dog food brands. With so many labels to read and product to sift through, we have done all of the research for you. Read on to see why Blue Wilderness puppy food is a great choice for your new dog. This brand of puppy food is considered one of the best. One look at the ingredient list and it is easy to see why. This food is made without grains, leaving more room for nutritious wholesome ingredients. The natural ingredients used are deboned chicken, chicken meal, turkey meal, sweet potatoes, peas, potatoes, blueberries, cranberries, and carrots. This unique mixture of wholesome ingredients makes great contributions to your puppy's development. This is a very important stage of growth for your dog and it is important to start them off right. Many brands try to hide in sneaky filler ingredients. With Blue Wilderness, you can rest assured that you are feeding your canine friend the very best. On their official website, Blue Wilderness is very open with their complete list of ingredients. Knowing all of the ingredients of this food can help you make an educated decision as a pet owner. Each ingredient is added to provide an important nutritional benefit to your puppy. Plenty of protein is available from the deboned chicken, chicken meal and turkey meal. Your puppy will receive complex carbohydrates for plenty of energy from the sweet potatoes, peas, and potatoes. There are also plenty of antioxidant powers packed into this puppy food with the addition of blueberries, cranberries, and carrots. All of these ingredients help promote a healthy diet, growth, and development for this important stage in your puppy's life. Blue Wilderness offers a complete line of dry and wet puppy food, along with an assortment of puppy treats. It is best to discuss which formulas are best for you puppy with your veterinarian. However, you can rest assured that all of the formulas are made with the highest quality ingredients. The dry puppy food is available in a number of flavors and formulas, with a perfect choice for puppies of different breeds and health concerns. For example, there is a chicken variety available for small breeds or large breeds and a red meat option for those dog's that need a higher protein intake. The wet food also comes in a variety of delicious and wholesome flavors that your dog will love. Besides being available in a variety of flavors and formulas, Blue Wilderness can also be bought in a selection of sizes. You can choose what works best for you. Blue Wilderness food is available in 4.5, 11 and 24-pound bags. Whether you have the storage to stock up or only need a smaller amount on hand, there is a size for you. Blue Wilderness Puppy Food offers many things that other brands can not. For example, the impressive list of all natural ingredients and a promise of never using grains in their foods is just the tip of the iceberg. Blue Wilderness also provides the exclusive LifeSource Bits. These morsels have been specifically developed by expert animal nutritionists and veterinarians to promote immune health. The secret to these bits efficiency is their “cold-formed” technology. These bits are exposed to less heat to help minimize the elimination of heat sensitive nutrients. You can read more about this fascinating technology on the Blue Wilderness website. This food is formulated to address every aspect of your dog's growth, from muscle development to immune health. Not many brands can say they have your dog fully covered! In fact, many brands that promise to be all natural and healthy for your dog are actually full of filler ingredients. Blue Wilderness has made a promise to its customers that it will never use any chicken by-products or grains. This food does not contain any artificial colors or flavors. This puppy food is as natural as it can get. The most common con heard from pet owners regarding Blue Wilderness puppy food is the price. This food is higher priced than many other brands and could be considered more upscale. However, it is important to remember that you get what you pay for. The health benefits for your puppy far outweigh any expense. What are your dog's health and well being worth to you? It is important to do your research and talk with your veterinarian before starting any routine diet. Many users swear by feeding their dog Blue Wilderness. They have reported shinier coats and fewer health concerns. Starting them right as a puppy will help them have a healthy and happy life. When puppies are given the proper nutrients, they can develop into the strong, powerful animals that they were created to be. Choose the food that is highly recommended by veterinarians throughout the country. Blue Wilderness puppy food provides the proper amount of nutrition and nourishment for the newest addition to your family. 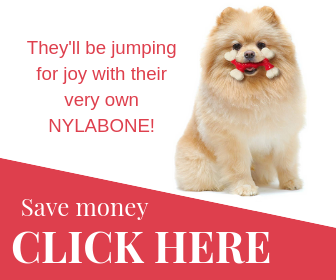 Your puppy deserves the best and you can rest assured that this brand is one of the best. Do you use Blue Wilderness puppy food for your little four-legged friend? Let us know about your experience in the comments below. Feel free to share this with your puppy loving friends!